The Great British Bake Off may be over for this year but that doesn't stop the rest of us from baking. I personally think I should have been on the GBBO for amateurs. 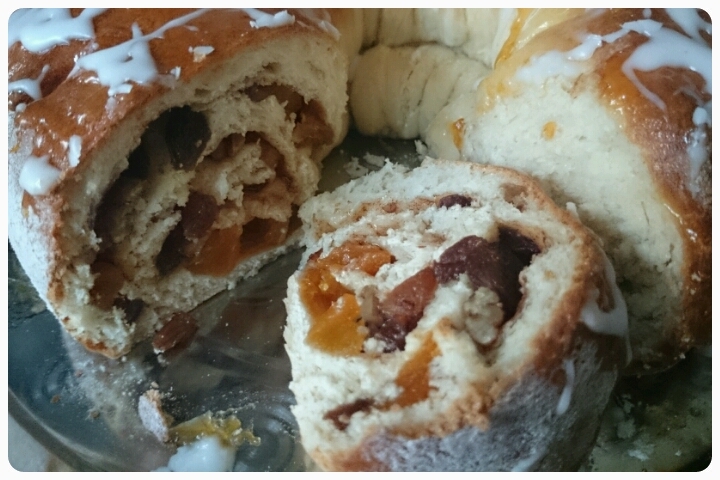 Aldi recently set some of us lovely bloggers a bake off challenge of our own. 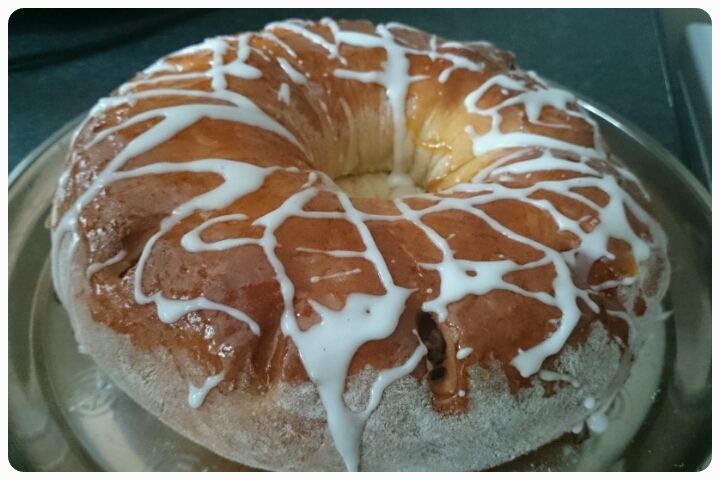 Using some Aldi's Home Baking SpecialBuys and core ingredients, I had to pick a recipe from one of the many used on the GBBO show this year, I opted for the Fruity Swedish Tea Ring which Richard cleverly made. Now this isn't something I've made before and I'm not lucky enough to own a freestanding mixer or a proving bag for that matter but I gave it my best shot…. * With a spoon mix together all the ingredients for the dough, adding in 50ml of water. 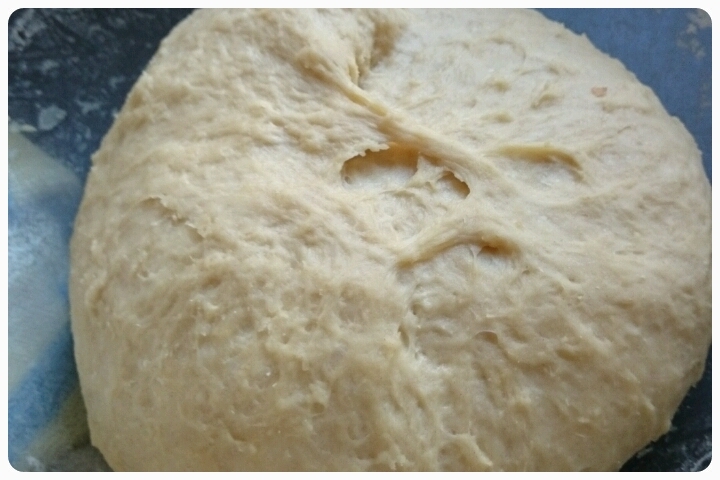 * Add in a further 50ml of water and knead until the dough is no longer sticky and has a smooth texture. * Cover and leave to prove for 45 minutes, I placed my dough in the airing cupboard. * Whilst the dough is proving, it is time to make the filling. Combining the sugar and cinnamon in one bowl and all the fruits in another. 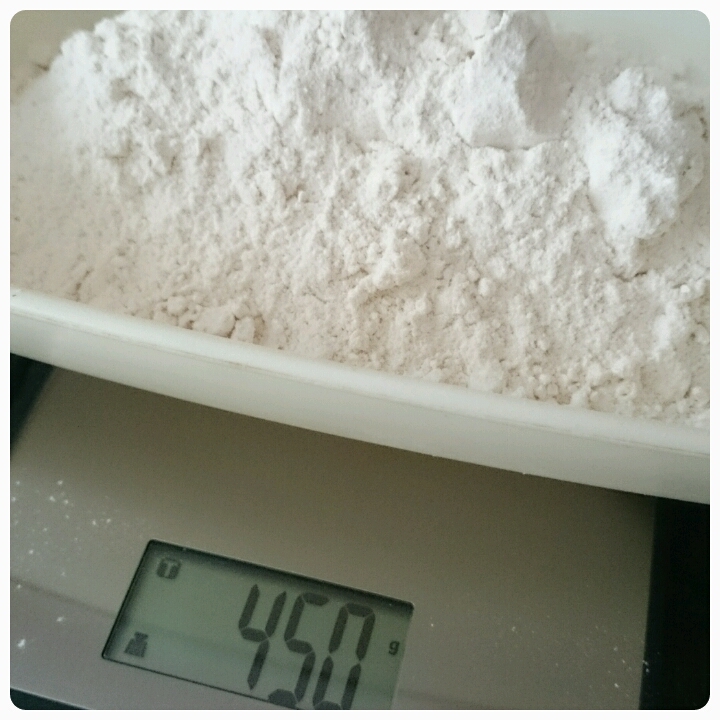 * Once the dough is proved, place on a lightly floured surface and lightly knead. * Then roll into a rectangle around 40 x 60 cm, gently does it as you want to keep the air in there. 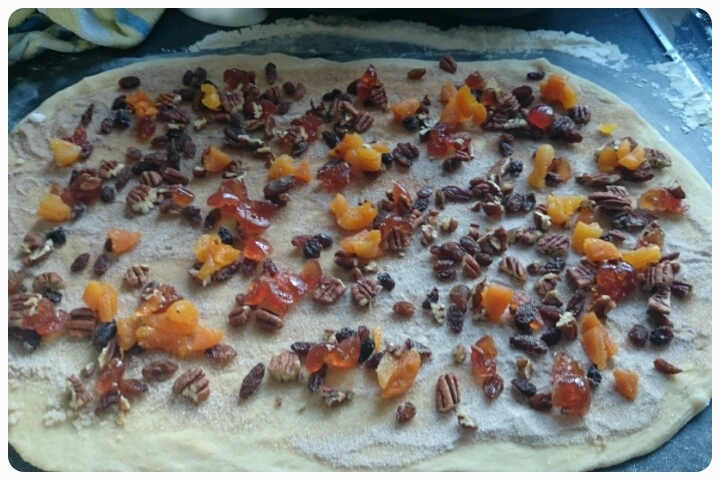 * Sprinkle the sugar and cinnamon evenly over the dough, then do the same with the fruit. 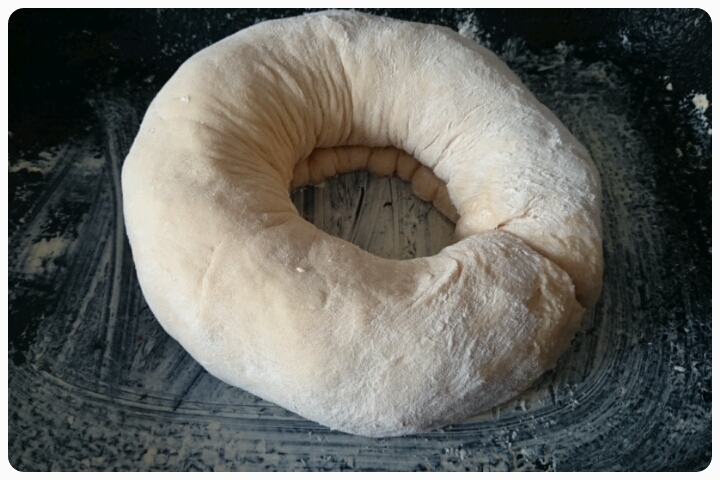 * Carefully roll the dough into a cylinder, shape into a ring and then join the ends by wetting them slightly. * Place on a greased baking tray. * Cut around the outside edge, leaving a 4cm gap between each cut, then cover and leave to prove for a further 40 minutes. * Bake for around 15 minutes, if not colouring too quick, leave for a further 5-10 minutes. If browning quickly, cover with foil before popping back in the oven. 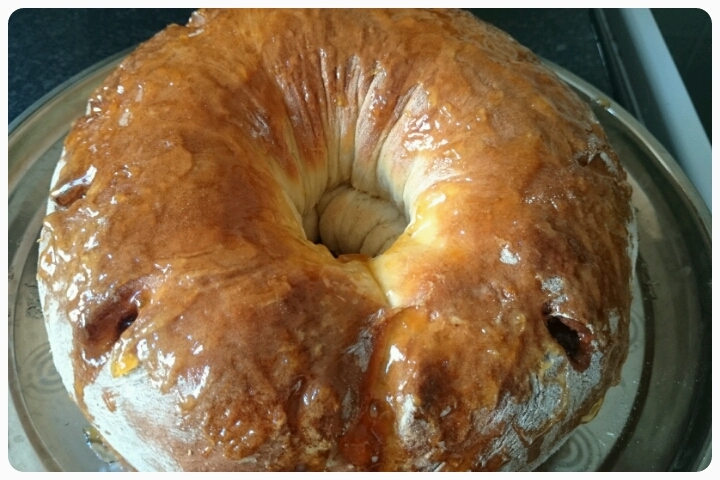 * Make an apricot glaze, then brush over the surface of the tea ring. 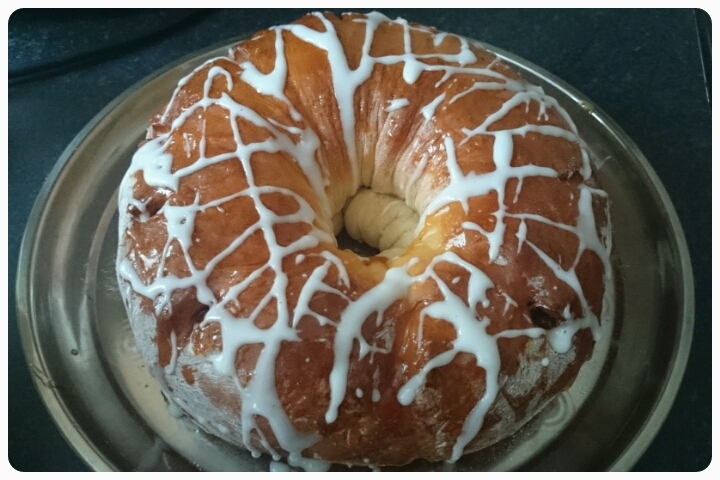 * Once cooled, decorate by drizzling icing over the top (lemon and icing sugar combined). I have to admit, I was expecting a disaster so I was extremely pleased with the end result. The combinations of textures and tastes really is divine, the cinnamon gave it a real Christmas feel too. Which bake off challenge would you like to take on?? Disclaimer : I was sent the ingredients and scales FOC to make my tea ring however all thoughts and opinions are my own.